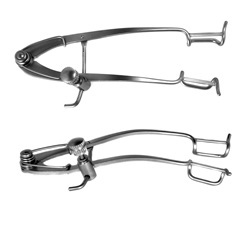 Both adult and pediatric sizes are available in this Williams Eye Speculum. Various blade sizes and spread that are temporal in approach. Comes with a spring-controlled blade spread with screw-type locking mechanism. Adult size, 14mm closed K-wire blades, 52mm blade spread. Overall length: 86mm. Pediatric size, 11mm closed K-wire blades, 41mm blade spread. 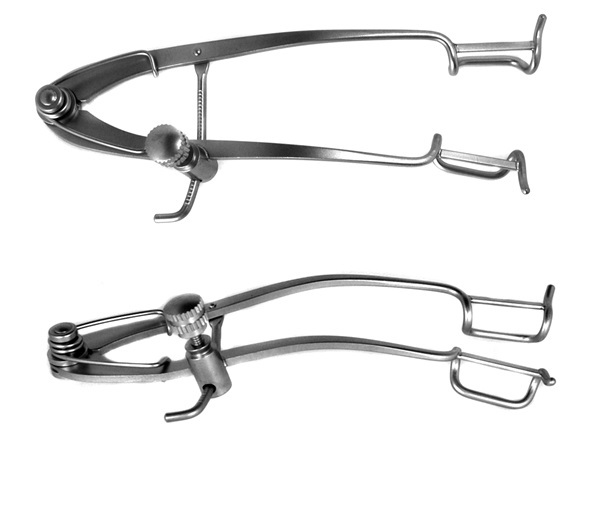 Overall length: 69mm.